1. 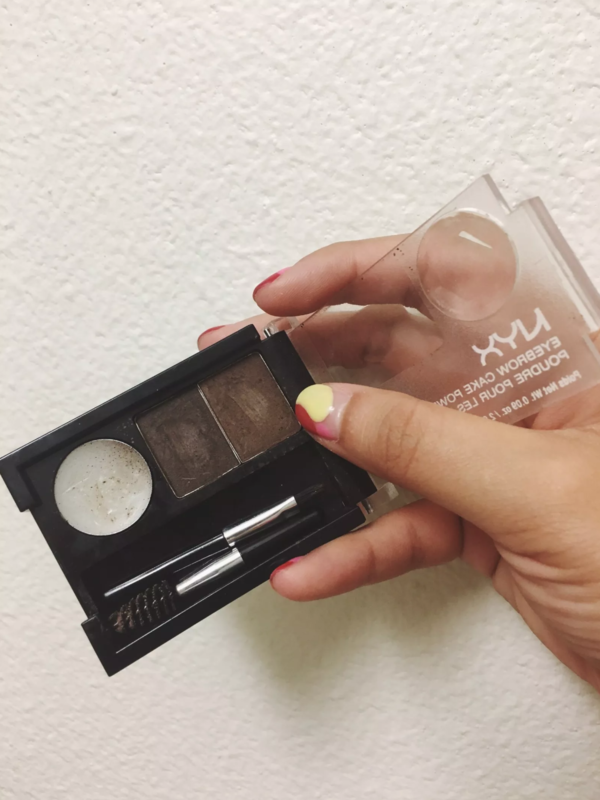 NYX Eyebrow Cake Powder makes filling your brows in a total breeze, from beginners who like to keep it relatively subtle to pros who like a bold, all-filled-in look — the two shades make it easy to mix and match to your desired intensity. I'm no pro at doing my eyebrows, but wow, this NYX kit makes it so easy — and by it, I mean making my brows appear fuller and accentuating their natural shape, but not making them look ~too done~ or clearly drawn on. 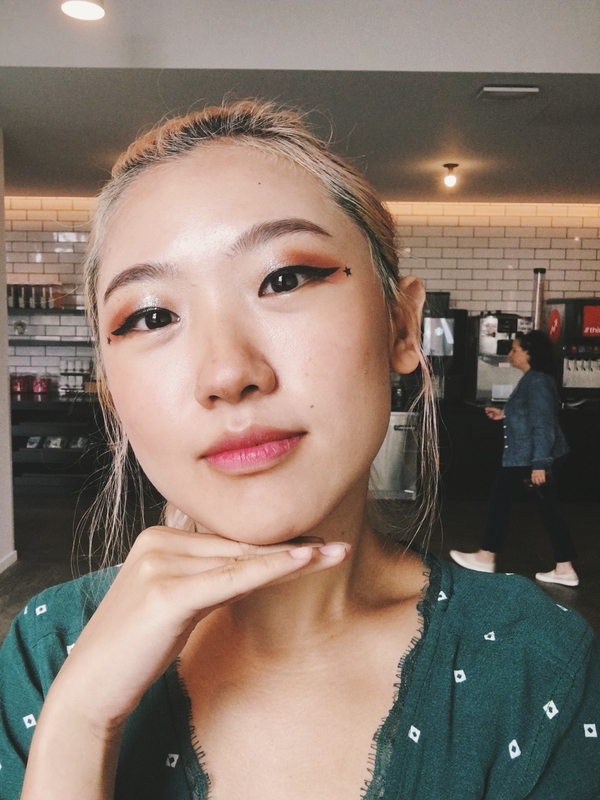 I use the lighter shade for the inner, more sparse hairs and the darker shade (which is closer to my actually black brows — but I like to go a shade lighter) for everything else, especially the ends. And sometimes I mix both colors together for an in-between brown! The teeny brush that comes with does just fine when it comes to mimicking my hairs, outlining my arch, and extending the ends of my brows just a tad, and the spoolie blends out any particularly harsh strokes. But if you're not into itty bitty tools, you can just get a regular-sized angled brush and spoolie. Check out my full review for more deets! Get it from Amazon for $6 or Walmart for $7.99+ (available in six shades). 2. 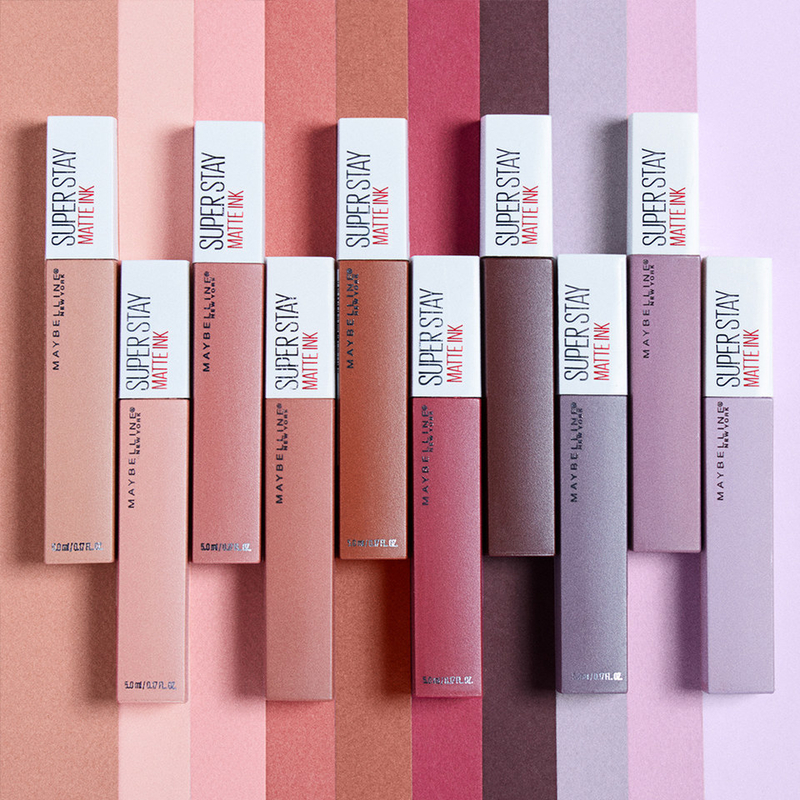 Maybelline SuperStay Matte Ink Liquid Lipstick doesn't dry out your precious pout, nor does it come off in unwanted areas through meals, rough days, etc — and it has a color for every mood and season, so you're basically covered for life! I've had a love (mostly hate) relationship with liquid lips. They either always dry out my lips, or the applicator is bulky for me and I end up staining my face (lmao). Even if those two problems aren't an issue, it'll come off after one meal! 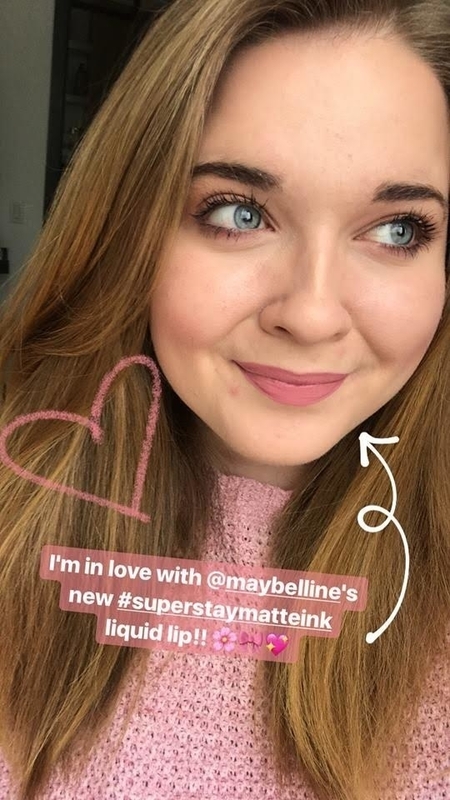 So if you're like me and have sworn off liquid lips for these reasons, I'm here to say, give Maybelline SuperStay a try! 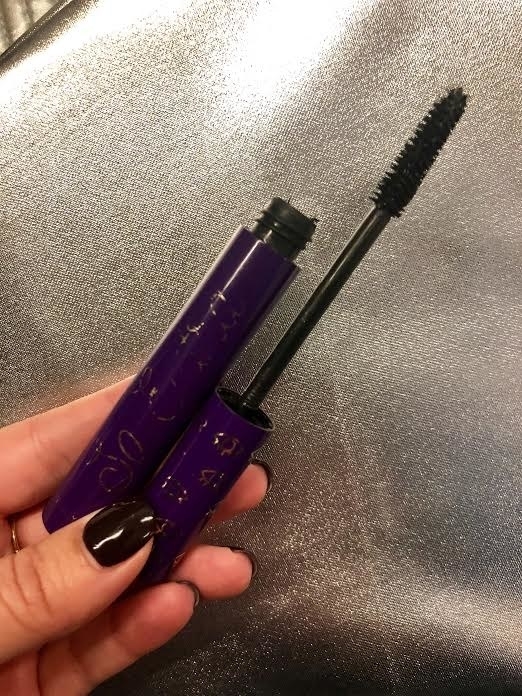 Read her full review for more deets! Get it from Amazon for $5.12+ (available in 20 colors, and there's also a 20% off clippable coupon for your first order!) or Walmart for $7.94 (available in 10 colors). 3. 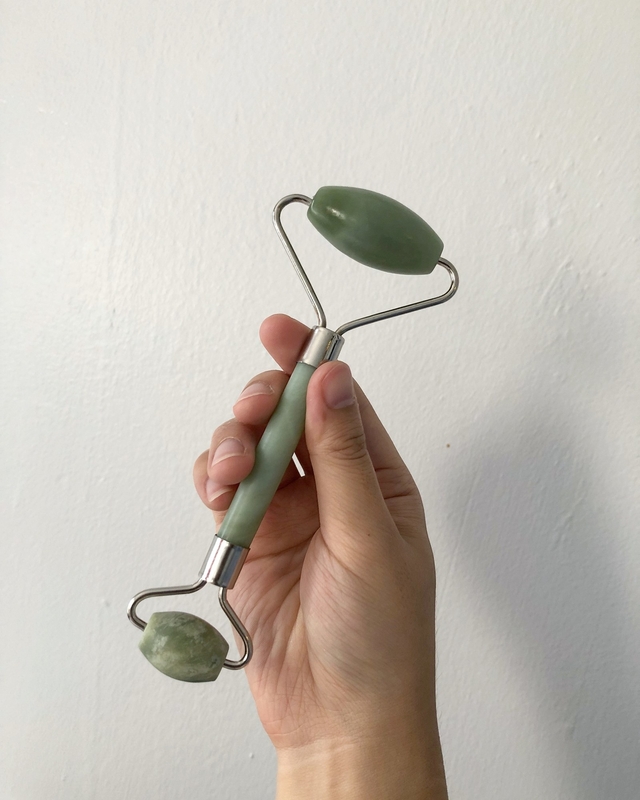 GingerChi Jade Roller feels like being hugged by a non-melting ice cube first thing in the morning for the perfect lil' "hello, time to wake up!" call that also soothes redness and depuffs your skin, especially around the cheeks and eyes. I've become a big fan of using a jade roller. Any skepticism I had about rubbing a piece of rock on my face evaporated after my first day of use — it’s hard to overstate how soothing it feels. It's icy-cool on your face in the most pleasing of ways (like you're being caressed by an ice cube, without the mess). Get it from Amazon for $22.99 or GingerChi for $24. 4. 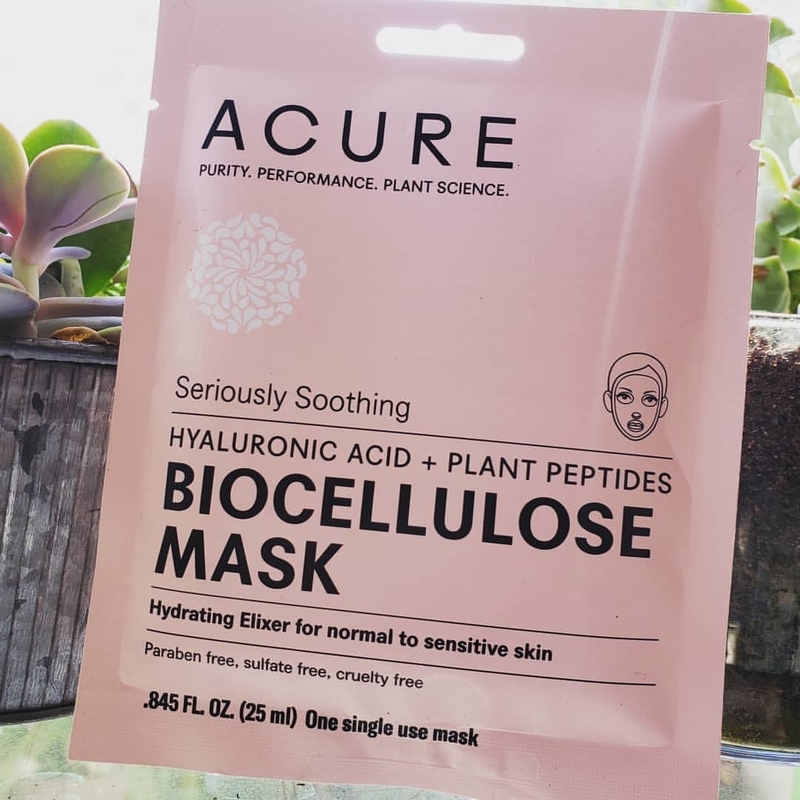 Acure Seriously Soothing Biocellulose Facial Gel Mask soothes your dehydrated post-sun skin with a cooling burst of hyaluronic acid and plant peptides, doesn't irritate sensitive skin at all, and is 100% vegan — wins all around! Get one from Target for $5.99 or a five-pack from Amazon for $23.99. 5. 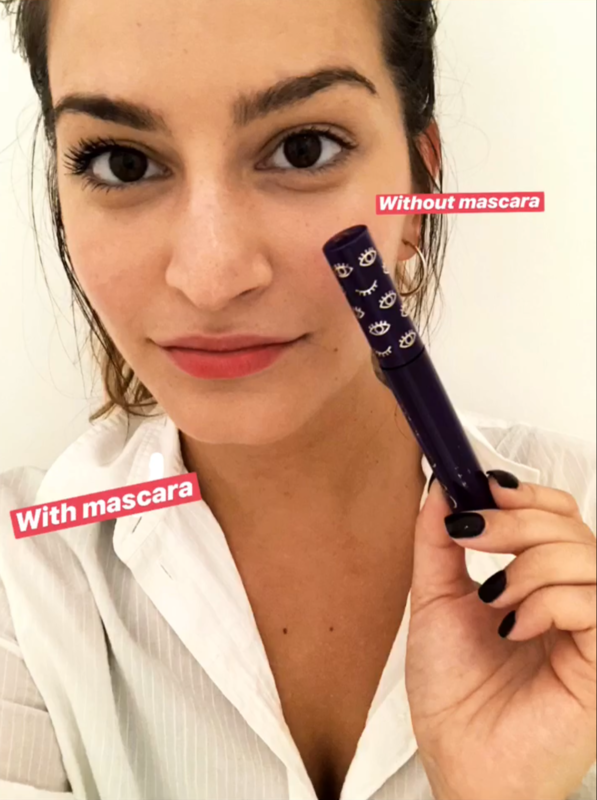 Winky Lux So Extra Mascara doesn't err on the side of caution when it comes to your lashes — nay, it amps them up with a weightless, non-cakey layer of black length and volume. 6. 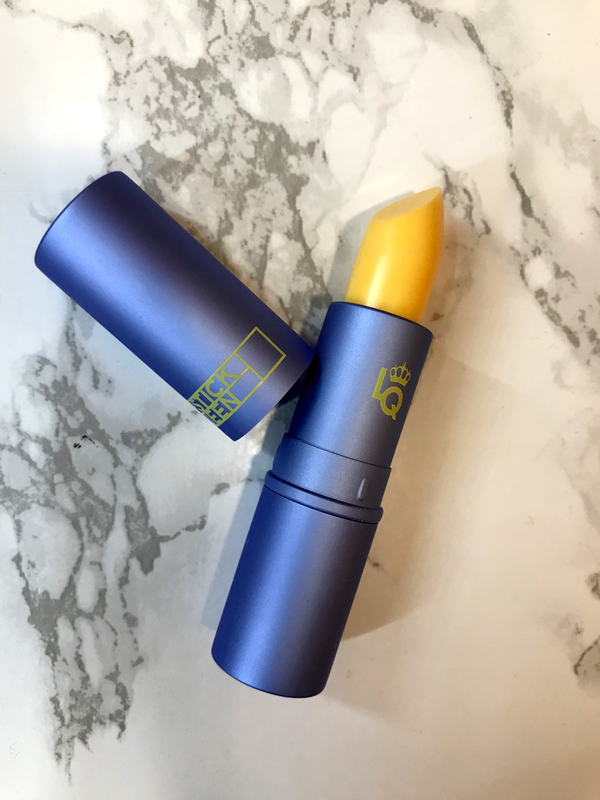 Lipstick Queen Mornin’ Sunshine Lipstick magically shifts into a lovely pink based on the pH of your lips, so you're left with a natural hue that totally suits you. 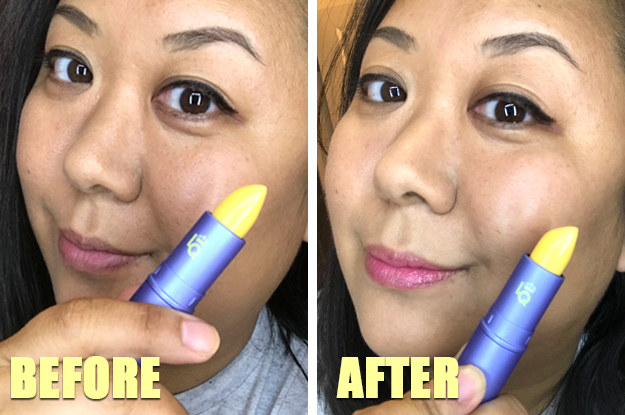 When I first saw Lipstick Queen's Morning' Sunshine Lipstick, I legitimately thought it was just a lip balm — mostly because the yellow looked…waxy? But when I found out that the color actually transforms to a cute peachy/coral color when you put it on I was like, “Sounds fake!” So OBVIOUSLY I had to try it. Get it from Jet for $20.23 or Amazon for $25. 7. 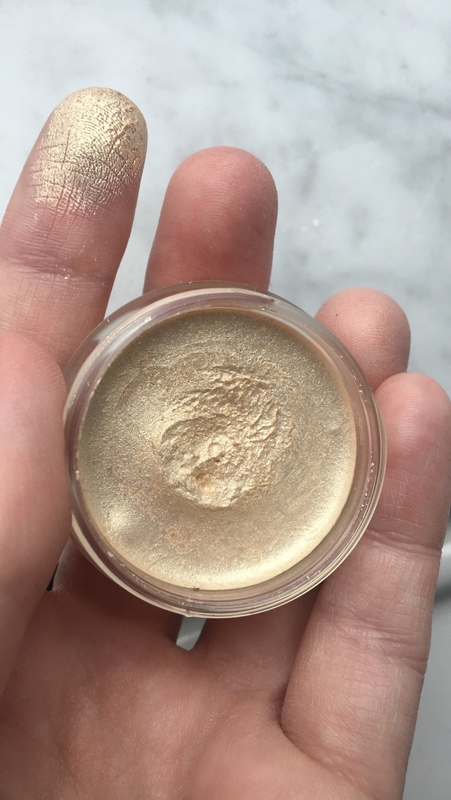 ColourPop Jelly Much Shadows (We Jammin' and Ventura are pictured) make applying a subtle wash of glittery eyeshadow totally foolproof — and are so fun to play with. I'm a lipstick-every-day person, and my obsession with lip colors for years and years has meant that I'm just Not Great at eyeshadow — the brushes, the light color here, dark color there, I know the basics, but I never really tried to get good at *doing* the thing. Buttttttttt, recently I've gotten really into low-key day glitter eye makeup looks to keep things fresh. 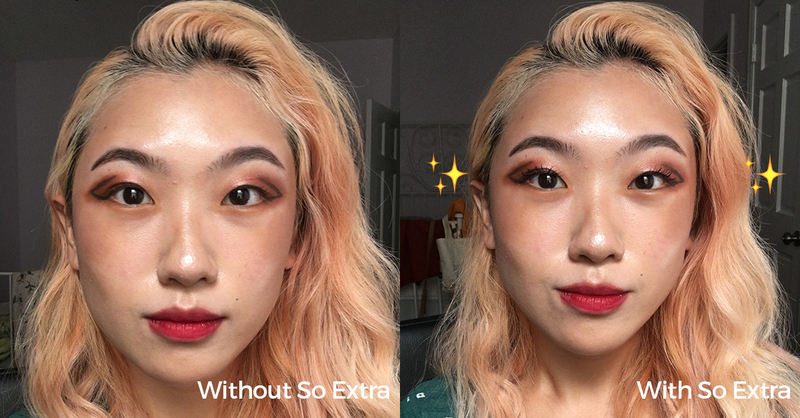 So when I saw these Colourpop jelly shadows, I knew I was gonna love 'em, especially because I already love their lippie stix (which, btw won best inexpensive matte lipstick on BuzzFeed Reviews!). Get them from ColourPop for $8 each: We Jammin' and Ventura (available in six other shades). Cheers to flawless lewks! Flaunt. It. 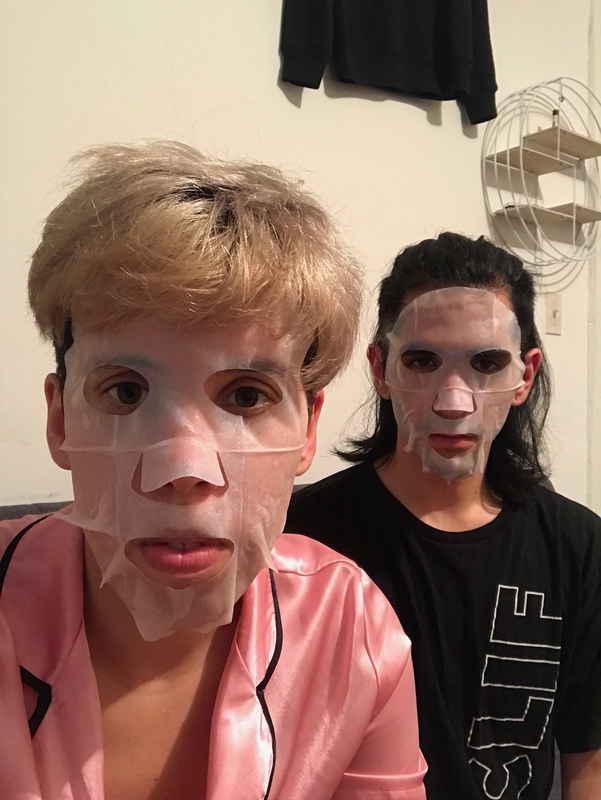 Can't get enough of our awesome beauty reviews? Check out our previous roundups here!